Use Thieves to protect your health, your family, and your home. Thieves is what you need to protect yourself, your family, and your home. 1. Did you know that standard household cleaners are 3 times more likely to cause health challenges than outdoor air pollution? ​2 There are at least 150 chemicals that are found in the most commonly used household cleaners and they are linked to causing physical and mental problems. 3. Two children die EVERY DAY from accidental poisonings at home. 4. People think they are safe when using products with the "Green Seal". Did you know that products with this seal have not been tested for toxicity? 5. Did you know that less than 2% of the chemicals used have been tested for long term health effects in humans? 6. Our Thieves cleaner was compared to the best selling cleaner and the best selling "green" cleaner. Our Thieves cleaner blew them away! 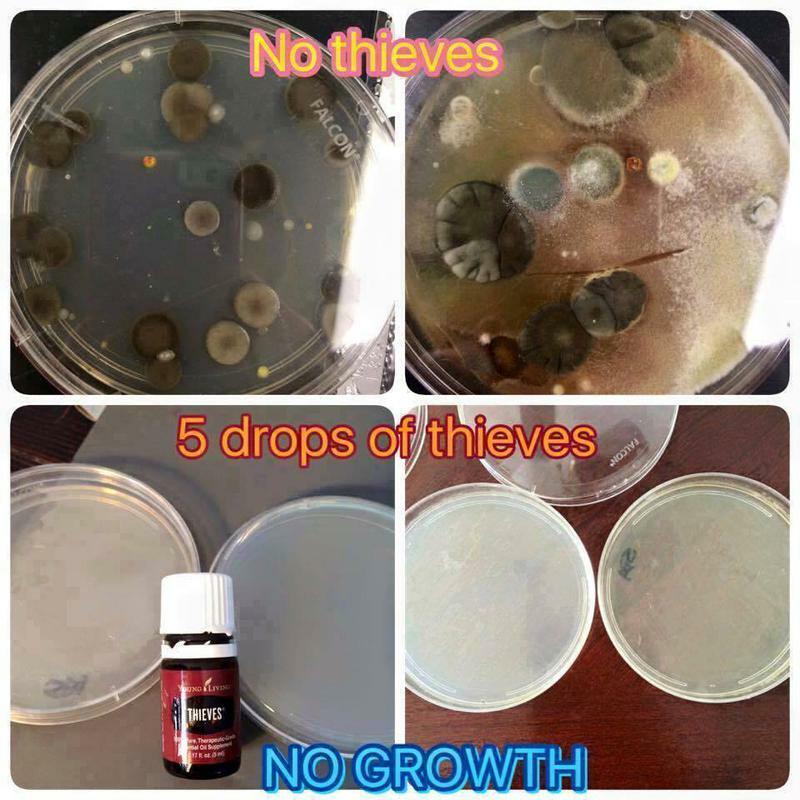 Thieves cleaner was the only one that was non-toxic, therapeutic, and 100% from natural sources. The other brands contained synthetic chemicals, are toxic, and even hazardous. It's a rough world we live in today. There are many things that we come in contact with on a daily basis that can cause us harm. That is why you want to be using our Thieves products to help protect you, your family, your pets, and your home every day. Whether you're trying to battle the "bug" at the office or warding off household germs that family members leave behind. Century after century, outbreaks decimated the population of Asia and Europe for the better part of a thousand years. Out of this period emerged a legend of four thieves who were captured and charged with robbing the dead and dying victims. When the thieves were tried, the magistrate offered leniency if they would reveal how they were able to stay well as they performed their gruesome acts. They told of a special concoction of aromatic herbs, including garlic, cloves, and rosemary, that they rubbed on themselves before committing their crimes. The proprietary Thieves oil blend was created with this legend in mind. You want to be using our Thieves products every day! Start using the very best products on the market and you will notice a big difference. So many people are creating their health challenges due to what they use every day. Time to exchange the garbage for greatness! Quit poisoning yourself and your family. Click here to see why so many people love our Thieves cleaner!